One of the most crucial parts of dating and starting a relationship with someone is texting. It is where you get to communicate and even make things blossom. In this day and age, everyone is on it. That is why it helps to beat men in this game and make texting your thing. If you are still single, then you will love what Jaki has to say. She talks about the three text messages that men love. Among the many people in the crowd, learn how to stand out, connect, and make a man yours. 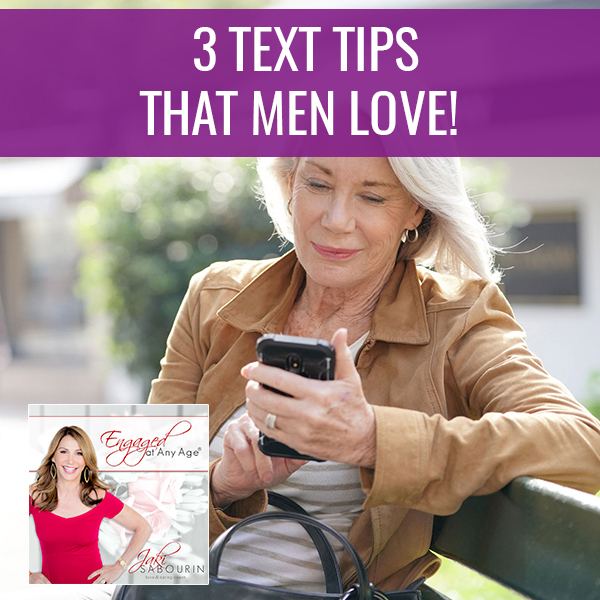 3 Text Tips That Men Love! I want to share with you three text messages that men will love. If you’re single, this is perfect for you. Let’s talk about texting. I have three tips for you. I know that as women, we would rather be on the phone. We want the man to call us but you have to up your game. You have to get good at texting because it’s here to stay. If you don’t like it, then you’re 1% of the population because everybody else is using texting. Without complaining about it, let’s beat them at their own game. Texting provides a rich opportunity for you to create some fun, flirty banter and to engage the guy that you are interested in so that it can build to something more. That way you can get off the text and get on the phone and start talking to him on the phone and stop the texting. Texting is a very useful instrument and you want to use it to your advantage. Here are my three tips. The thing that I see happening is that women are getting boring with their texts. What I mean by boring is you’re asking questions like, “How was your day?” How do you explain that in one text? You’re supposed to write back, “How are you?” Who wants to answer that? If you see a text coming in, you just put your phone down and walk away. You have to lead with something much more interesting. You want to convey a feeling that will inspire a man and create emotion in him that he’ll be inspired to either respond to you or pick up the phone and talk to you. Some of the things you can say, for example, a feeling that you can inspire. You’re not going to call up a man that you maybe went on a date with and say, “Hi. I’m thinking of you.” You wouldn’t do that, but you could text that. You could text the man, “Thinking of you” with a wink and that would convey emotion but you would never pick up the phone and do that. That’s why texting can provide a useful platform until you create that connection that leads to a commitment and then you can text, call or whatever. Make it more interesting. Be more creative and here’s how you do it. Ask a question or use current events. Make sure they’re good questions or jokes. Jokes are fun. Look around what’s happening in the world or something that’s funny that happened to you and blab it out there like, “You won’t believe what happened to me. When I was on my way to the meeting, I tripped on the edge of the carpet and it was on all force in front of everybody in my office. It was so hilarious. I cannot believe that happened.” That’s it. Just share something that’s interesting, that’s funny, that’s clever, and put a smile on somebody’s face. That’s going to inspire that emotion. That’s my first tip. You’ve got to be more creative in those texts. The second one is you’ve got to be way more confident. You’ve got to be bold. You’ve got to come out and say what you want. You have to have more certainty in your text. Instead of worrying about being rejected, look at it this way. Instead of asking a question, just make a statement like, “Me and my friends are headed over to the Hard Rock Cafe at 8:00. You should come,” or “I’m going to be down walking on the beach from 12:00 to 2:00. It’s going to be a beautiful day. You should come.” That’s it. You’re not asking a question. You’re not setting yourself up for rejection because you’re making a bold statement that leads with certainty. Text Tips: Engagement creates connection, which then creates commitment. The third tip that I want to give you is a good one. Use images or tell the story or use a gift or an avatar. Don’t you love all the new little avatars that are out there? You can make your own personal avatar. I have one and I love it. My little Avatar will show me splayed out when I’m tired. Get yourself a little avatar or send a little gift that expresses an emotion of how you’re feeling or a picture. Maybe you’re walking down the street and this is common in front of yoga studios. They’ll have some inspirational quote like, “It’s all good. Don’t worry. Be happy.” Take a picture of that and text it to somebody that you’re dating or you started dating. It’s cute and it’s more interesting than “How are you?” Use little signs or things that you see that are cute. Maybe there’s a coffee with a little heart. They do that in the espresso and cappuccino. You can do that if you know him better. Just use the media that we have available to us to inspire and engage him. This is a real problem and the reason why I’m telling you this is because we become boring and we expect a man to pursue us. If you’re online dating and there are millions of women online dating too and you want to stand out from the crowd and hopefully, you have a great profile. What’s going to make you stand out, even more, is knowing how to connect with the man. You need to create engagement. Engagement creates connection which creates a commitment. I’m teaching all of this in this program. I have a five-week accelerated course. It’s five short weeks. During that time, I’m going to do one live interactive call a week that I’m going to teach you how to emotionally connect with a man. How to get over your fears that you have even connecting with a man, how to jump start getting back into dating if you haven’t been dating in years, how to be a visionary instead of being an observer. Visionaries thrive at all times where observers only thrive when things are going well. I want to teach you how to get out of your mind. Manage that mindset to be bolder and more courageous in your pursuit of having your soulmate. I’m teaching you all that in five short weeks and on the top of it, I’m throwing in $2,000 worth of bonuses. I’ve created amazing bonuses, training with fillable worksheets and audios. 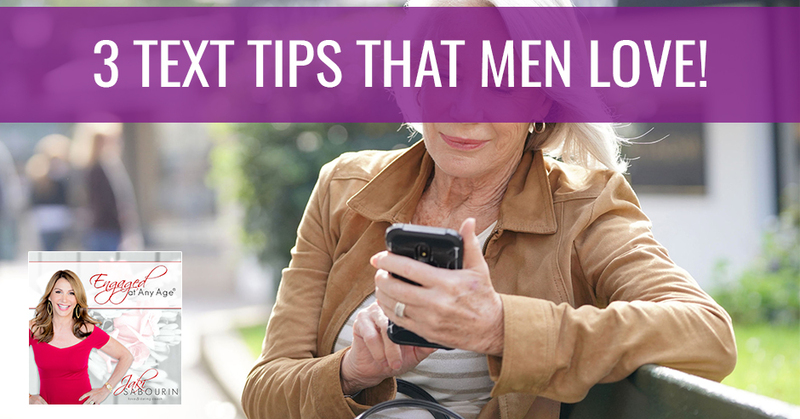 There is so much content for you that’s all relevant to where you are, how to help you overcome your fears, connect with a man more quickly that will lead to commitment. This is the fast track. I’m all about fast-tracking. I do believe it’s possible. I was engaged in eight months and married in two years and I’ve done it twice because this is my second marriage. I do know what I’m talking about. I’m an amazing coach and I want to be your mentor and I can teach you how to get engaged at any age. It’s for the whole five weeks with $2,000 worth of bonuses and time with me for five weeks where I’m going to share all of my information. It’s not just conceptual, it’s real-world examples. I do a lot of roleplaying. I’m going to teach you usable information that you can turn around and use the same day and you need this support. You can go to BridgeToLoveClub.com. You’re automatically going to receive all of my bonuses and instructions on how to access everything. You’re going to get immediate access to every bonus right now. The audio is downloadable and the worksheets. Everything that I discussed, you get it as soon as you pay the $97. The regular price is $197. You’re saving $100. That’s a huge savings. 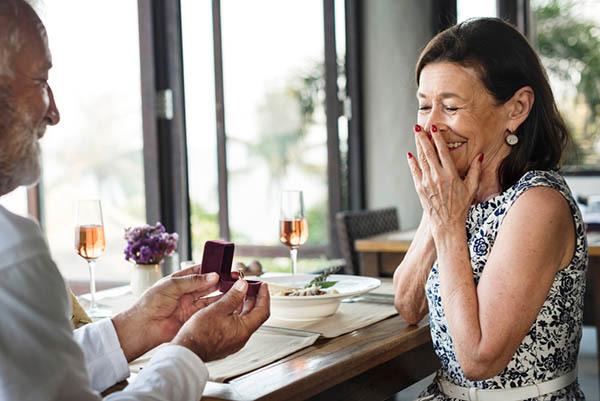 As soon as I see that you’ve made that purchase, I’m going to send you my banters, icebreakers, and texting tips for dating PDF for free. I’m just going to throw that in. I’m going to send that to you in an email. You need to get on top of this. You’ve got to give them what they came for. A fun, exciting, thrilling interaction with you that leads him wanting more and to see you more. I’m going to teach you how to do all of this. Sign up for my course and I’m excited to connect with you. Make sure you go to Engaged at Any Age on YouTube. You can follow me there and never miss any of my training videos. Go there and subscribe to my channel and pick up that early bird special. This is a steal. If you’re sitting at home wondering what to do, this is your next step. I’m sending you lots of love as always.